Yesterday we farewelled all our friends. So tonight, we went out to dinner alone for the first time in a few days. 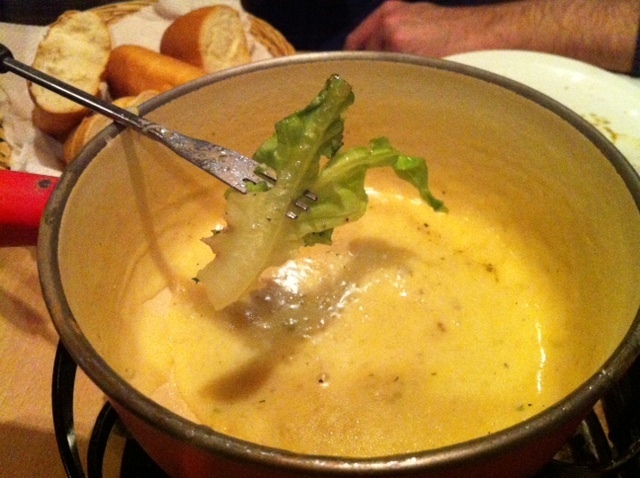 And in a way I feel like we betrayed one of our friends by going to a fondue restaurant. While we’d been together, we’d had several (interesting) conversations. One of which entailed admitting your crack. What does this mean? It means confessing what food (or drink) item you either can’t live without or simply cannot have because once you start you can’t stop. You know, your crack!!! Mine is bread and chocolate. Which I avoid like the plague. Claire’s is cheese! Which she chooses to eat most days. So in a way, I feel mean that we didn’t have fondue night while she was here. But maybe… just maybe it’s for the best??? You know, I don’t want to be an enabler!!! So off to Cafe Bern we went. Bubbling with the lilting chatter of a room full of Dutch people, it was a welcoming restaurant to step into. 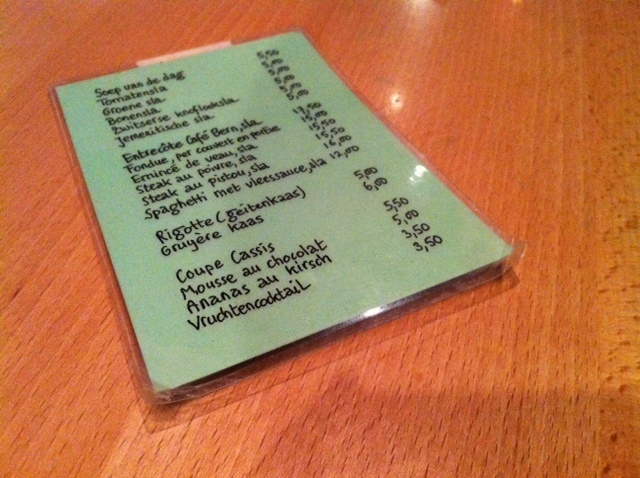 That welcome was extended when the friendly and charming waitress translated the Dutch menu to us. They don’t do an English menu, you see. And that’s one of the reasons I liked Cafe Bern from the start. It doesn’t go out of its way to attract a tourist clientele, preferring to cater to the local crowd. Just my scene!!! It’s a fairly simple menu. 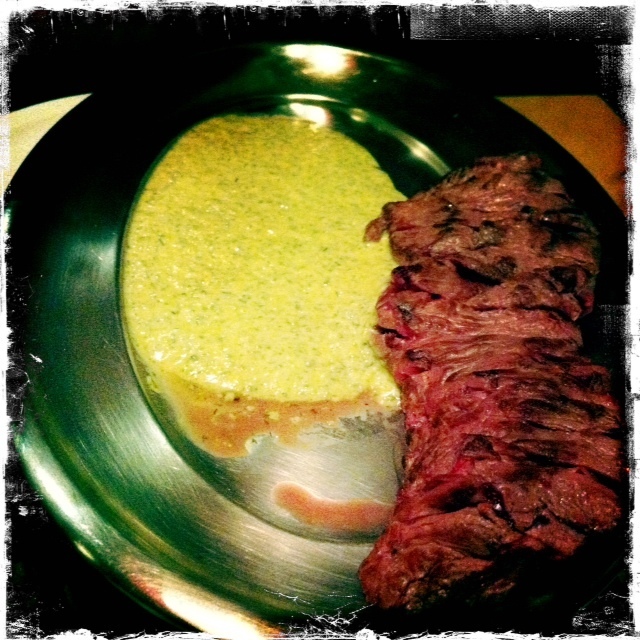 Melted cheese in a pot (with bread to dip) and entrecôte that you cook yourself over a flame. So that’s what we got. Now I don’t, as you know, eat bread. But that didn’t deter me. I just dipped my salad into the cheese. Yum! Why not lettuce and Gruyère?? Why not, I ask you?!! Delicious entrecôte that you cook to your own liking by placing it in the yummy herb sauce which is sitting over a low flame. Divine!! !